I have a bit of an obsession with NARS eyeshadow duos. Well - not all, but several of them. Especially the neutrals and metallics. 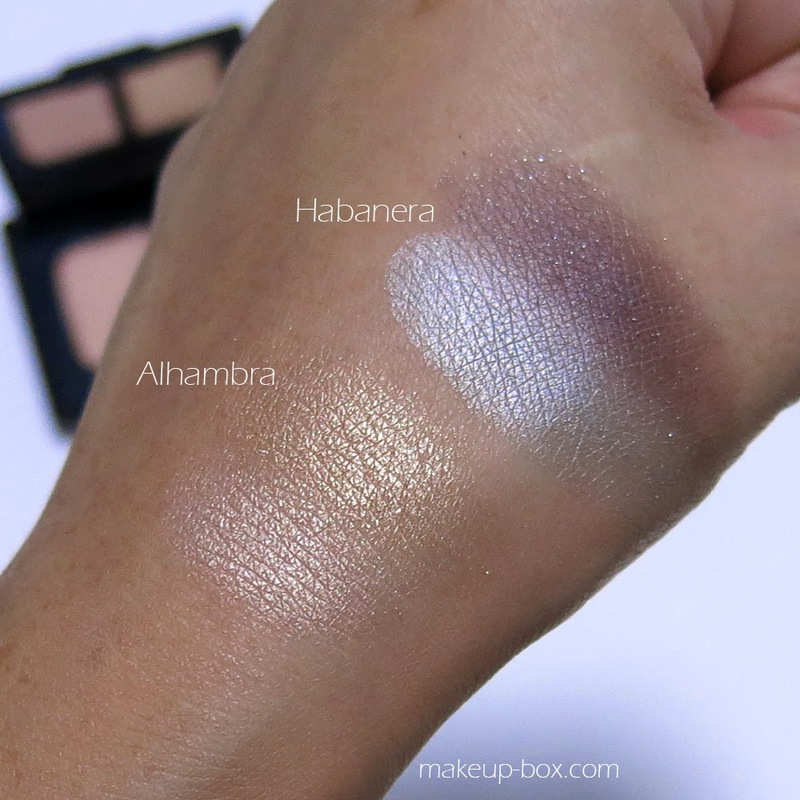 My most recent acquisitions are Alhambra (soft apricot-gold beiges) and Habanera (silver-sage and -charcoal-plum). Now, many people criticize them for often not being wearable together. E.g. 2 of my absolute faves are Cordura and Kalahari (below), or Isolde - another one of my faves - and the colors are close enough that if you wore them both on the lids, you might not see a huge difference. 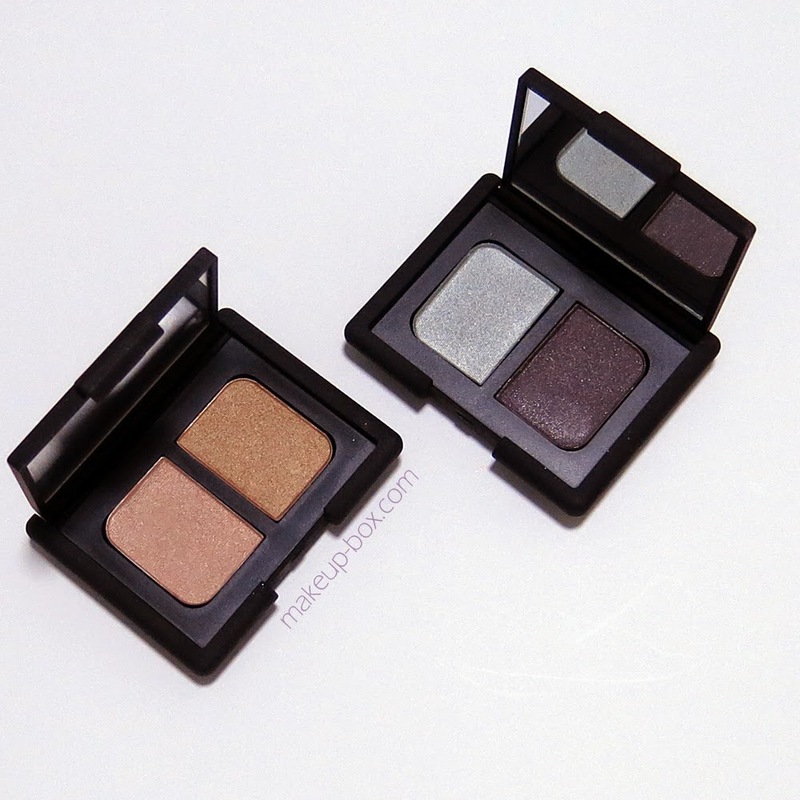 Well, compared to typical duos which are designed to be worn together, I see NARS duos as "themed colors". They may or may not work together, but it's a theme. I.e. if you like the left shade in Kalahari, you'll probably also want to own a shade like the one on the right. So they give you both together, even if you wear them separately. 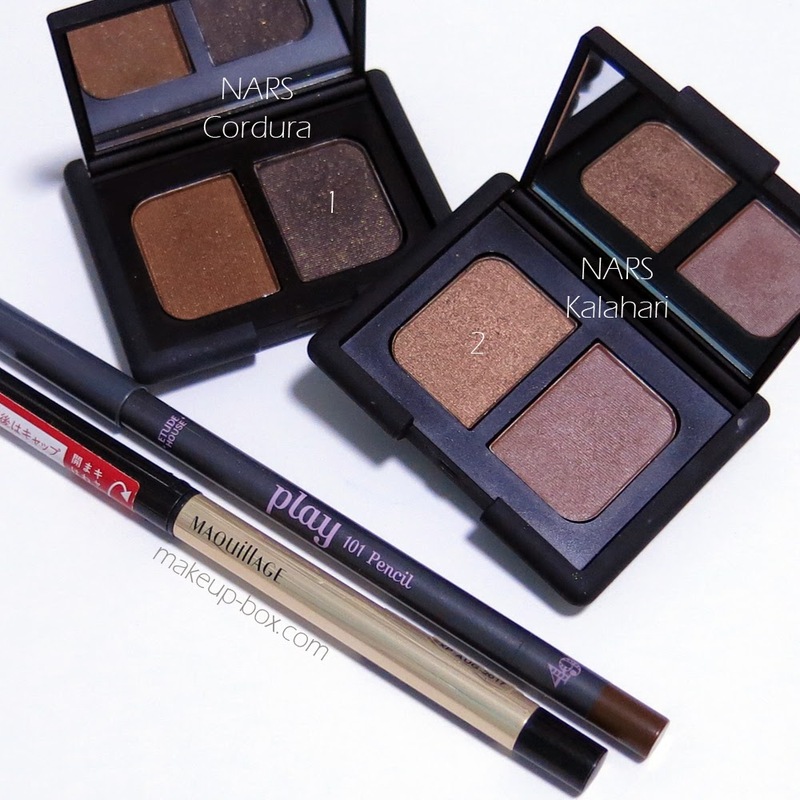 My recommendation is to see them all as single NARS shadows in a more economical format. This opens up your options. I'd pair any of the shades in Alhambra with the dark prune color in Habanera. And I'd wear the silver-sage green in Habanera with any other dark shade from any other palette. Anyone have a similar weakness for these? I love Nars duos too! Kalahari is gorgeous. awesome Application does not include any real domain name unlike ShowBox Terrarium TV some streaming apps for apple iphone and also provides you with great.